Are you dealing with the hassle of defective, discontinued Atlas Chalet Shingles? Hopewell Has a solution. Sometimes minor wind or hail damage to your roof can be repaired with the simple replacement of damaged shingles with new shingles of like kind and quality. However, in some instances, the problem is much more complex. Homes that are roofed with Atlas Chalet shingles cannot be repaired. If you home is currently roofed with Atlas Chalet shingles and has incurred even the slightest storm or weather damage, the CORRECT repair will not be possible. Atlas Chalet shingles have been discontinued. There is NO “like and quality” substitute for the unique faux architectural shingle, so it CANNOT be matched. You are probably going to need you whole roof replaced to avoid further damages to your home. Your insurance company probably won’t mention the option of getting the entire roof replaced. WHY? Let’s face it….Replacing the entire roof costs the insurance company significantly more than repairing a few shingles – especially if the cost of replacing those shingles does not exceed your deductible. But don’t despair: If you need storm damage repair to your Atlas Chalet shingles, your insurance company should pay for a complete roof replacement with TRUE architectural shingles, most of which carry a 50 year warranty when using a certified contractor like Hopewell Roofing. Hopewell Roofing will help you ensure that happens. In recent years, one of the most popular products used in GA was the Atlas Chalet shingle. This unique 3-tab shingle was created to be an affordable shingle that has a layered, 3 dimensional look like an architectural shingle. In reality, the Chalet was not an architectural shingle but was designed to look like one through a process of granular application. The product was enormously popular with builders due to the low cost. As a result, tens of thousands of homes in GA went on the market roofed with Atlas Chalet shingles. In 2008, Atlas Corporation abruptly announced it would not produce the product anymore due to a marketing decision. However, the storm of press reports, customer complaints and litigation surrounding the Atlas Chalet tells another story. In 2013, two class action lawsuits filed against Atlas Roofing Corporation alleged that the company misleadingly advertised that the Atlas Chalet shingle would last 30 years, when in reality, the shingles will blister and crack long before that – sometimes manifesting problems within the first year or two after installation. 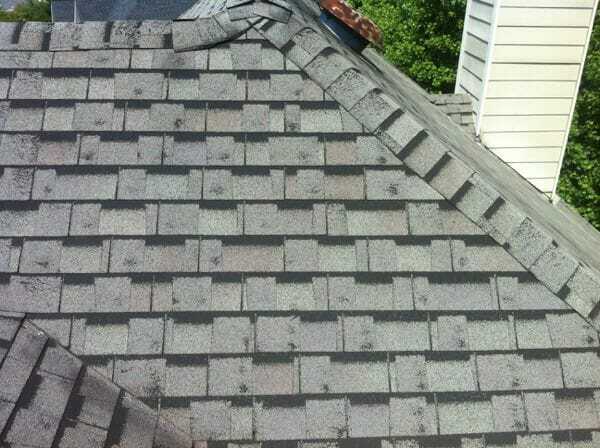 In the case of homes outfitted with Atlas Chalet shingles, one broken shingle on a non-repairable roof morally and legally obligates the insurance company to replace the entire roof. You bought your home with a 30 year rated “architectural” shingle. That is what your insurance company should pay for. Hopewell Roofing & Restoration’s HAAG certified professionals will assist you in filing your Atlas Chalet related claim by providing correct documentation and evidence during the insurance company’s inspection. 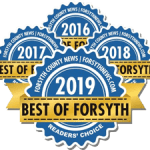 Call us today @ 678-771-5372 to schedule your free, no obligation inspection and see if you too qualify for a new, warranted, professionally installed, LIFETIME architectural roofing system.